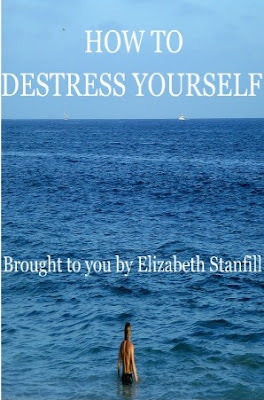 How to Destress Yourself : WHAT'S YOUR PURPOSE? This week we had a post about De-Stressing Yourself With A Hobby, and my last post, I talked about My Passion and My Purpose. Now, I pose the question, "What's your purpose?" Do you know what your purpose in life is? If you do, are you living it? The reason I pose these questions is because I have had SEVERAL conversations about purpose lately. The other day, I had the wonderful opportunity to speak to a young college student and she explained that she was feeling empty and lost. She wanted help finding herself, she didn't know how to do it, and she desperately wanted help. OH MY GOSH!!! Do you see how brilliant that is? It's brilliant because she is where many people get, usually when they are older. Deep down inside she wanted to know her purpose in life. She knew that there was something missing. Do you feel like that? How grateful I was to speak to her and how grateful I was to help her know that her soul was asking for direction to her purpose. After we discussed that very thing, she got it. How lucky she is to get something like that as such an early age. Do you feel empty? Do you feel lost? Do you feel like you want to find yourself? If the answer is yes to these questions, it is my humble opinion that you are looking for your purpose, or you know what it is and want to live it. The conversation of 'my purpose' has been very commonplace with others and me for a long time but much more so lately, especially the last week. So, if it is your desire to find and live your purpose, here is some questions you can ask yourself. What would you do everyday if time and money were not an issue? If you could be anybody, who would you be? Why would you be them? What is it about their life that is so appealing to you? What are you naturally good at that you would love to do anytime if you could? What would you love to learn to do? Just some things to think about because I believe, with all my heart and soul, that if you find and live your purpose you will truly live a destressed life. If you live your passion and purpose, you will feel whole, and happy. If you live your passion and purpose, you will not drift through life feeling empty or lost. If you want more ways to find your purpose, Google it. Google, "what is my purpose?" Turn to Heavenly Father in prayer. He loves you and promises to help you find it. If you want help finding your passion and purpose, my course, How To Destress Yourself, can help you, it has helped many people find what they really want.